When considering a cruise of the Mediterranean Sea there is certainly a lot on offer - from the British style cruises of P&O Cruises, Fred Olsen and Cunard to the less formal style of Royal Caribbena, NCL and Thomson Cruises. After that there is the Italian style of cruising offered by MSC Cruises and Costa Cruises. If it's 5* cruising you're interested in you can take a look at Crystal Cruises, Celebrity Cruises, Cunard, Oceania Cruises, Princess Cruises and Holland America Line. For and ultra-luxurious trip the likes of Silversea Cruises, Azamara Cruises, Star Clippers, whilst the Yachts of Seabourn are the top choice. Royal Caribbean's fleet has the world's largest ships offering a great cruising experience. They suit families with children, active couples and singles of all ages who like varied activities. On their ship you can try rock climbing, ice skating and surfing 200 feet above the waves. They have several ships sailing the Mediterranean that visit the most popular destinations in the region. The Adventure of the Seas cruise ship offers trips from Southampton to the Mediterranean. Norwegian Cruise line (NCL) has introduced a more flexible approach to the cruising experience with their Freestyle Cruising, which allows passengers greater freedom to dine when they want - with extended restaurant hours, where they want - from the 20+ dining alternatives onboard and with whom they like - due to open seating. NCL has one of the newest fleets in the world. Cruises onboard NCL are ideal for adults and families who want relaxed cruises with less restrictions and schedules. They operate several ships in the Mediterranean: Norwegian Spirit, Norwegian Jade, Norwegian Epic - visiting popular destinations such as Venice, Naples, Barcelona, Valencia, Casablanca and alike. Their cruises last from four days to twenty one days. Thomson Cruises are the ideal choice for first-time cruise travellers. They are great for the whole family with daytime entertainment, a selection of various activities and children’s clubs onboard plus special children’s menus. They offer a variety of itineraries in the Mediterranean visiting popular destinations in Spain, Italy, Greece, Turkey and Croatia. They also offer fly-cruises from UK airports. Their ships - Thomson Dream, Thomson Majesty, Thomson Spirit, Thomson Celebration, are very modern, with a choice of restaurants and bars, casinos, wellness centres and gift shops. The Disney Cruise Line is primarily focused on kids and their families, and offers a more casual cruising experience. They have elegant and modern cruise ships. Disney staterooms can accommodate a family of four (some cabins can hold six). Onboard their ships there are also adults-only areas (restaurants, lounges, clubs and spas). Their ships have fantastic fun programmes just for kids and teens. During the summer season the Disney Magic ship sails to many popular ports. P&O Cruises offers British style cruises. With its fleet of eight ships, it cruises all around the world. Their ships range from smaller ones that offer a more intimate cruising experience to the larger ones, which are ideal for family holidays. Most cruises depart from ports such as Venice and Genoa, whilst there are also cruises that depart from Southampton and explore Portugal, Spain, Italy, Greece and of course Croatia. Fred Olsen offers an intimate, traditional cruise experience on their smaller ships. They are famous for interesting itineraries and themed cruises. The service is more attentive than you will find on the larger ships. 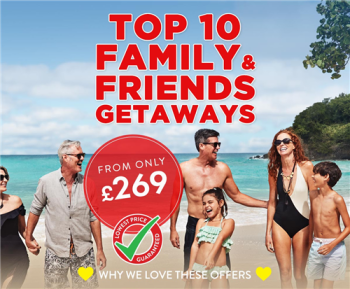 During the summer months Fred Olsen’s ships the Braemar, Black watch and Boudicca depart from the UK (Southampton, Dover, Liverpool, Newcastle, Rosyth, Greenock, Belfast and Dublin in Ireland) and sail around the Mediterranean (Spain, Italy, Malta, Greece, Turkey and Croatia). Cunard Line attracts an international clientele who prefer the traditional ocean liner experience. Passengers tend to be older, although transatlantic crossings, especially during the school holidays, attract younger passengers and families too. The company's ship the Queen Elizabeth, that can carry 2,068 passengers, during the summer sails the Mediterranean, visiting popular destinations in Italy, Spain, Greece, Turkey and Croatia. 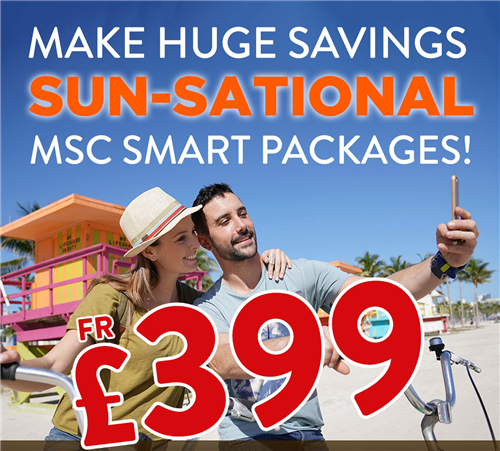 MSC Cruises is an Italian company that offers a traditional cruising experience on modern resort style ships. In Europe they attract mainly European passengers. They are ideal for couples and families because children under 18 travel for free. Passengers onboard their ships experience Mediterranean style cruising with excellent cuisine, varied entertainment and a cosmopolitan feel. MSC Cruises offers a great range of itineraries in the Mediterranean onboard the following ships: MSC Lirica, MSC Preziosa, MSC Splendida, MSC Fantazia, MSC Poesia, MSC Musica, MSC Orchestra, MSC Bellissima. They stop off in Spain, Italy, Greece, Malta, Turkey and Croatia. Costa Cruises has one of the newest fleets and attracts an international mix of passengers. The combination of Italian charm, hospitality and service that they provide is what makes them ideal for both couples and family cruising. Costa Cruises is one of the cruise lines which offers Mediterranean cruises throughout the year. Their ships visit popular destinations in Portugal, Spain, France, Morocco, Tunis, Malta, Italy, Greece, Turkey and Croatia. They have a great choice of itineraries throughout the year, including Christmas cruises. Costa's ships which sail the Mediterranean are: Costa Serena, Costa Pacifica, Costa Favolosa, Costa Mediterranea, Costa Magica, Costa Deliziosa, Costa Diadema, Costa neoRomantica, Costa Luminosa, Costa Fascinoza and Costa neoRiviera. Crystal Cruises is among the most luxurious cruise lines in the world. They suit adults who have high expectations and want exceptional service, top quality entertainment and the opportunity to explore interesting destinations. Recently they have begun to attract families with children by offering a "kids" sail-free' programme on selected cruises. This company has mid-size ships with a relaxed but sophisticated ambience. Their ship Crystal Serenity sails the Mediterranean visiting top destinations such as Monte Carlo, Venice and Istanbul. Crystal’s shore excursions range from small groups to more private ones. Celebrity Cruises offer a very real sense of luxury onboard its eleven ships. All of them feature elegant public areas featuring top quality artwork, sophisticated modern decor, spacious staterooms and many dining options. These cruises will suit families with young children or teenagers, multi-generational groups, young adults looking for sport activities and spa lovers. Celebrity Constellation, Celebrity Reflection, Celebrity Silhouette and Celebrity Equinox are their ships that sail the Mediterranean. Departing from regular ports such as Venice, Barcelona, Civitavecchia and Istanbul, their ships visit top destinations in Italy, Spain, Greece, Turkey, Malta and of course Croatia. Princess Cruises has various sized ships offering an experience for families, couples, singles and senior travellers. 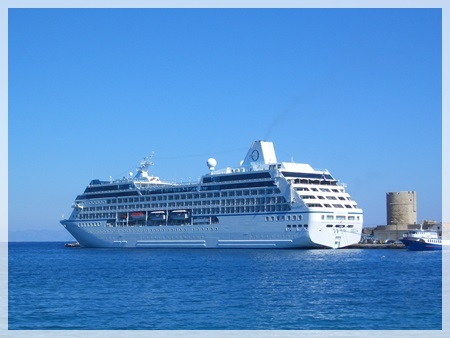 Its mid-size ship the Ocean Princess offers cruises in the Mediterranean that are convenient for senior travellers. This ship has fewer features that appeal to families and sail longer itineraries to more exotic ports, so they attract older travellers. The ship visits top destinations in Spain, Italy, Greece, Turkey and Croatia. Holland America Line offers 5* luxury cruises for adults, families and multi-generational groups who want a classic cruise vacation with modern amenities on mid-size ships. This company has large ocean going ships with spacious staterooms and public areas. Their ships that sail the Mediterranean are: RS Noordam, Nieuw Amsterdam, RS Ryndam, RS Prinsendam. They offer longer cruises exploring destinations in the region. Cruises depart from Venice, Istanbul or Piraeus. Oceania Cruises is a luxury cruise line visiting interesting destinations around the world. Their mid-sized ships offer an exceptional service. This company is destination oriented. Passengers can choose from fine dining in four open-seating restaurants, all included in the price. Most travellers are adults looking for excellent service, fine dining and destination rich cruises onboard smaller ships. Master chef Jacques Pepin is Oceania’s executive chef, who enhances the line’s reputation. 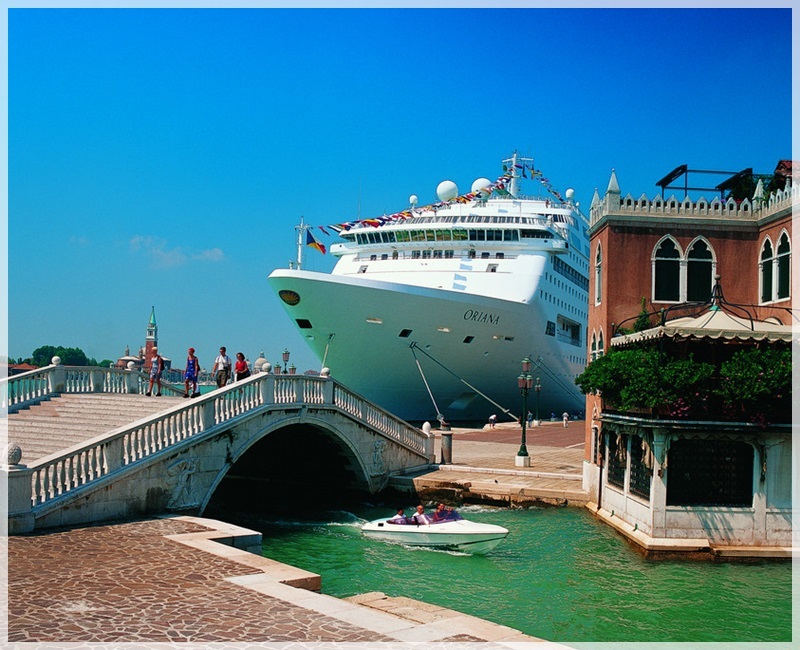 Oceania offers great Mediterranean cruises onboard their ships Marina, Nautica and Riviera. They stop in top destinations such as Monte Carlo, Sorrento, Amalfi Coast and others. Silversea Cruises is the ideal cruise line for adults who seek true luxury: 5* cuisine, spacious staterooms and great service. This multi-award winning cruise line has an enviable reputation for high quality, particularly when it comes to cuisine and beverages, boasting one of the most impressive wine cellars on any boat. Their ship the Silver Spirit with its 540 passengers sails the Mediterranean during the summer season calling at top ports such as Saint Tropez, Monte Carlo and Palma de Mallorca. Azamara Cruises is a luxury cruise line offering destination oriented cruises with carefully selected ports of call. They visit ports that other cruise companies don't. They also offer more overnight stays so that guests can experience the night life of the destinations. Their two ships offer a European hotel ambience and provide outstanding service, fine cuisine and wellness facilities. Azamara attracts an international clientele, though the majority of passengers are Americans, followed by Canadians and those from the UK. In the Mediterranean their two ships Azamara Journey and Azamara Quest offer great itineraries visiting interesting ports such as Monte Carlo, Nice, Porto Empedocle, Bastia, Palma de Mallorca and many others. Star Clippers offers you a unique cruising experience onboard smaller and taller ships which can accommodate 100-200 passengers. Their ships are very modern, created for comfort-loving passengers. Life onboard is blissfully relaxed, like travelling on a private yacht. Their ships can call at smaller, off the beaten track ports – such as small fishing villages and yachting harbours instead of the giant commercial cruise terminals. Star Clippers sails the Mediterranean calling at popular destinations in Italy, Spain, Malta, Greece, Turkey, Morocco, Tunisia and Croatia. Seabourn Cruises operates ultra-luxury cruises on small yacht-like ships which carry just 208 to 458 guests in all-suite accommodation, many with balconies. Seabourn Cruises visits the world's most famous cities as well as unusual ports of call in the Mediterranean, the Caribbean, Central and South America, the South Pacific and the Far East. Seabourn Legend, Seabourn Spirit, Seabourn Sojourn are their three ships that sail the Mediterranean visiting less visited smaller destinations in Italy, Spain, Greece, Turkey and Croatia.